We are excited to announce that ICE BLUE will be opening this Friday, May 4th at select Landmark Cinemas across Canada! This debut feature by local filmmaker Sandi Somers follows Arielle (Sophia Lauchlin Hirt, OLYMPUS), a 16-year-old girl trying to live a quiet life in the countryside. Although she loves her devoted father John (Billy MacLellan, MAUDIE) and their life together on an isolated farm, she can't help but wonder what happened to Maria (Michelle Morgan, HEARTLAND), her mother who abandoned them 10 years prior. When Maria unexpectedly returns, everything that John told Arielle about their family comes into question. Soon, Arielle finds herself desperately trying to untangle her family's dark past, as secrets and deceptions pile up and tensions rise. 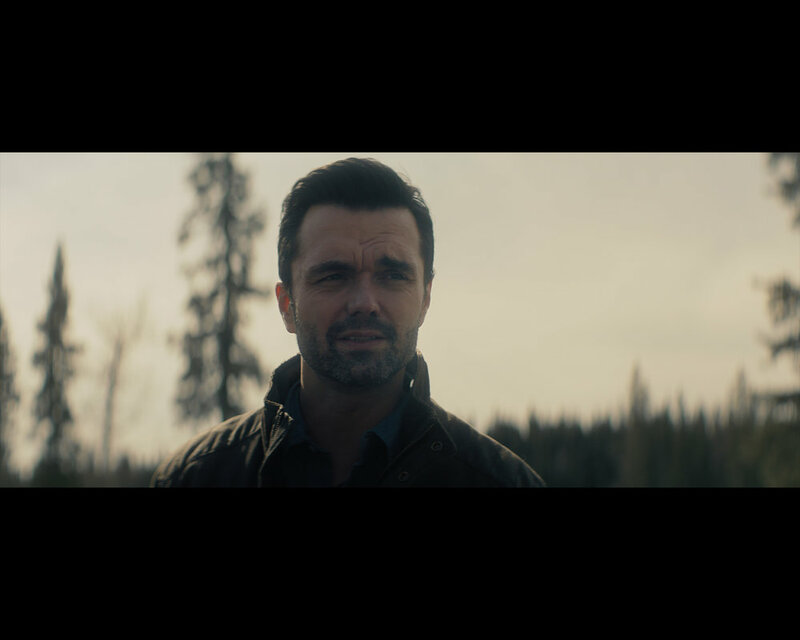 Shot against the sweeping backdrop of Alberta's foothills produced by Okotoks filmmaker Scott Lepp (HEARTLAND) with a script by Calgarian Jason Long (CHOKESLAM), this tense psychological thriller explores what makes our family ties strong – and what makes them break. Ice Blue is Arielle’s journey. She’s a 16-year old girl growing up on the isolated family farm with her dad, John. She’s quick as a whip and weirdly quirky, but yet naïve. All she wants for her sweet 16 is to see her mom again, who left the family under mysterious circumstances 10 years earlier. John is Arielle’s father and a lifer on the farm. He’s known no other way and wants the same for his family. He’s hard-working and protective. When the farm faces dire circumstances and with Arielle slipping away, John turns back to his old demons and puts a strain on his seemingly-perfect relationship with Arielle. Maria is Arielle’s mother who left the family 10 years previous. She’s the spitting image of Arielle and upon her return, their love rekindles immediately. But, Maria holds the secrets to a very dark past and can’t help but relay them to Arielle, causing her to question all she thought to be true. Christian lives with his Aunt Elizabeth on the farm just down the road from Arielle and her family. He’s there to get away from his trouble-making past. Christian is “like something out of a detective novel” and the attraction between he and Arielle is strong and pushes her to want more from her life. Sandi is breaking onto the scene with her debut feature, Ice Blue, but she has more than 70 short films to her name already. She’s the founder of the Herland Video Production Mentorship Program for female filmmakers. Sandi developed the story for Ice Blue 4 years ago and carefully crafted her vision onto the big screen. Scott is the founder of Iylond Entertainment and this is the company’s first feature film. In addition to indie filmmaking, Scott is also the interactive producer for the hit CBC TV series Heartland and is on the board of directors for the newly-formed Okotoks Film Festival. Scott’s goal is to continue to create unique and innovative projects in Alberta. Jason is an accomplished screenwriter with Ice Blue being his 4th feature film. He’s also written for the CBC series Blackstone and is a frequent indie producer and director in Calgary. Jason took Sandi’s story and developed it into a heavily layered dark and twisting drama, but still managed to sprinkle in his great wit and humour. Nick is the co-founder of Deluxe Design Group (ddg) in Calgary and Ice Blue is his first feature film. He’s filmed many corporate projects and music videos and shot the beautiful short film Guns of Purgatory. Now, he’s taken Sandi and Jason’s story and captured beautiful images that not only tell the story but take the film to another level.